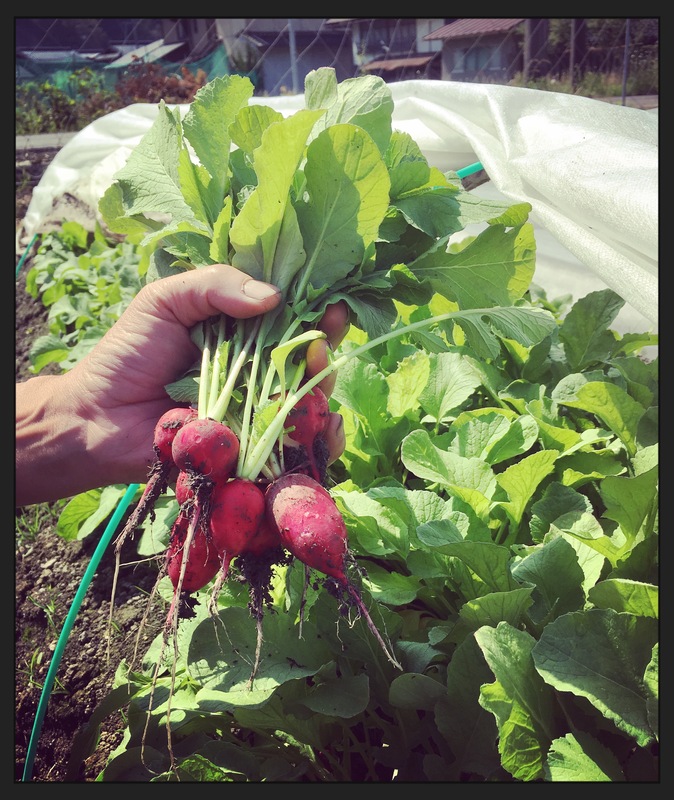 This is our best spring at Hello Farm Organics to-date. 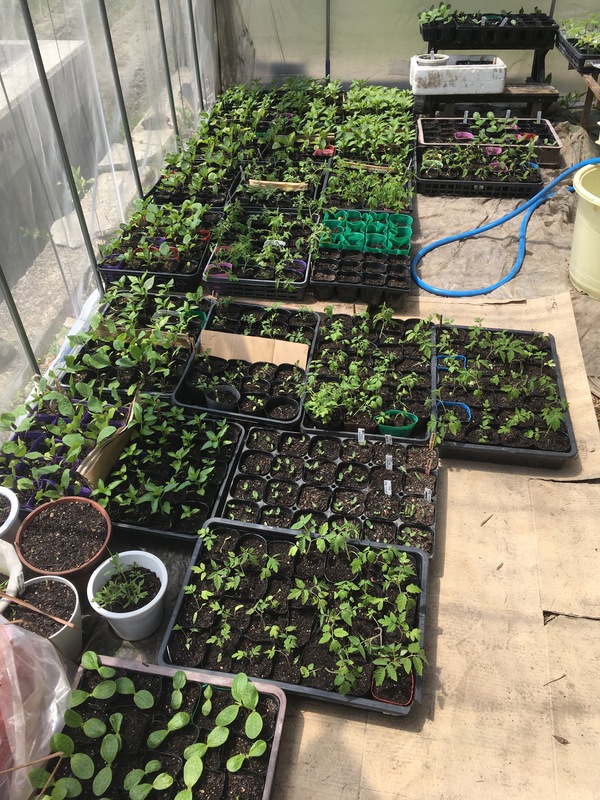 We’ve managed to plant all our seedlings on time this year, as opposed to a month late in past years. We are a bit notorious for planting very leggy tomato seedlings because we simply cannot get them in the ground quick enough. But this year, we increased our WWOOFing support to include 2 volunteers at a time, which has made all the difference. The expression, “many hands make light work” really applies here. In one week alone we got all out eggplant, peppers and tomatoes properly staked, supported and trellised before they flopped over from any heavy winds. A big thank you goes out especially to Anna and Johan from France 🙂 We’ve also reduced our number of harvest days this spring to open up our Saturdays as “fieldwork days” instead. This has meant 4 sets of hands (sometimes more) were on deck every Saturday for most of May and June. This made a huge difference in getting garden beds ready, seeding and transplanting done, potting up seedlings and weeding on time. With a small shift in our schedule, we will likely reap the benefits later on in sales because our yield should be higher due to less stressed out plants and less weed competition. Hooray! Unfortunately we’ve had to discontinue our Veggie Box Program this 2018 growing season. This is a direct result of fee changes made by our delivery service provider, Japan Post. This past winter, JP changed all their shipping fees, exponentially. This has made the cost of sending our veggie boxes through refrigerated trucking too expensive and unsustainable for our box customers. 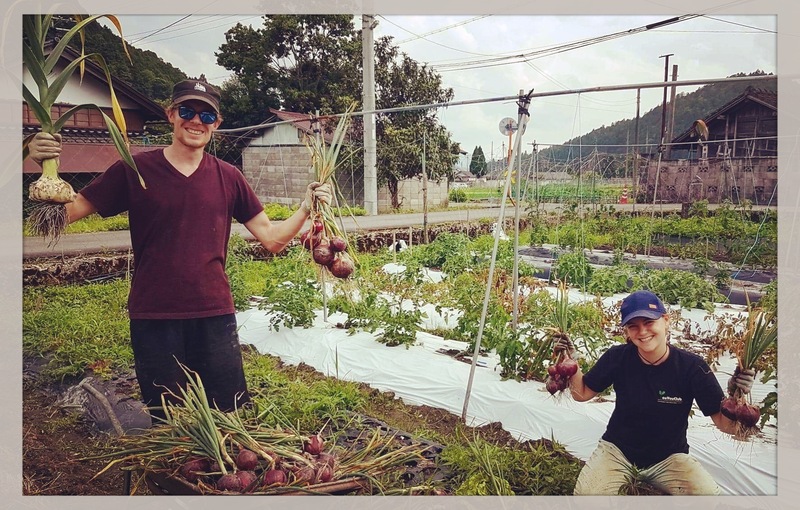 Luckily, we have found alternate sales outlets, but this has meant big challenges for many small farms in Japan who depend on shipping their crops around the country. If you are still interested in receiving a weekly mixed veggie box, please contact our main distributor, https://www.on-the-slope.com/english . 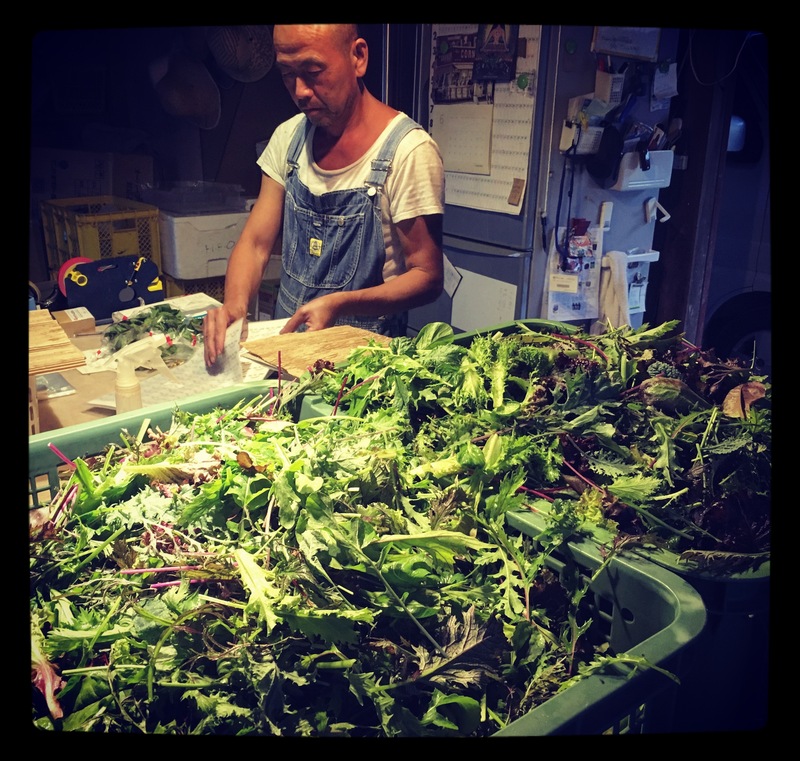 They continue to provide a veggie box service for over 800 customers around Japan and have been able to keep shipping costs down out of sheer volume. Please tell them we sent you! This also supports us because we contribute veggies to their box program as well. 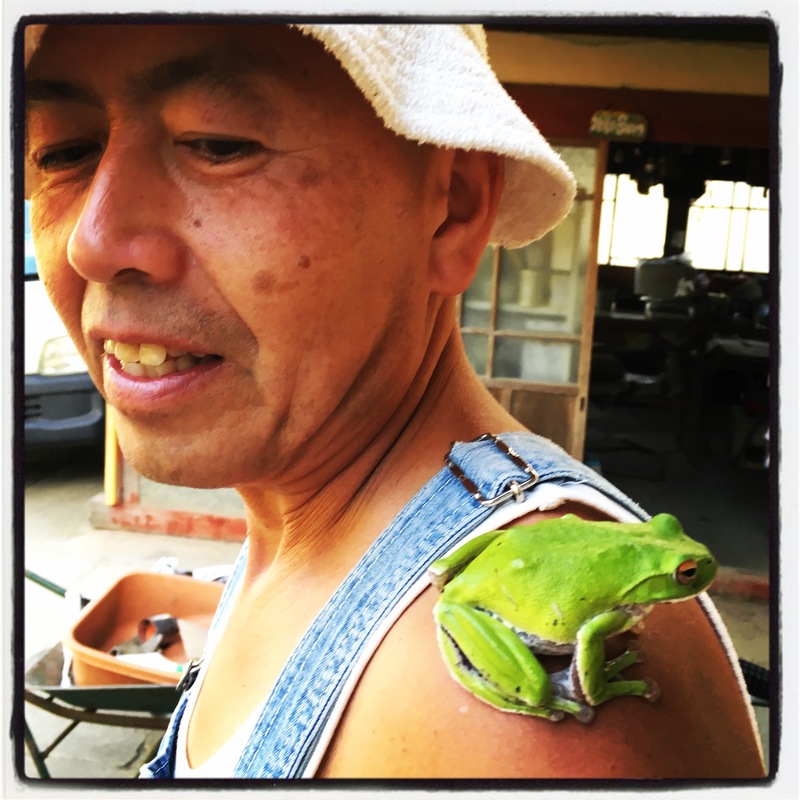 We continue to sell wholesale directly to restaurants, chefs, local michi-no-eki (roadside farm market), small veggie shops, juice bars, etc. If you are interested in buying from us, please contact us directly by email at hellofarmorganics (at) gmail (dot) com.